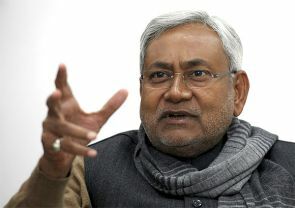 Holding that the revised draft order on NCTC suffers from several "serious flaws" and "arbitrary" provisions, Bihar Chief Minister Nitish Kumar on Wednesday asked the Centre to seek Parliament's nod through a wider debate for creating the federal anti-terror agency. Kumar, who heads a Janata Dal United-Bharatiya Janata Party alliance government in Bihar, also demanded a change in the criteria for implementing Integrated Action Plan in Left Wing Extremist affected districts by making it panchyat-oriented. Noting that he along with several other chief ministers last year had expressed serious apprehensions about the structure, powers and functions of the proposed NCTC, he said that the draft of the revised order on NCTC still suffers from serious flaws. "Firstly what is the use of creating an operation division within NCTC and giving powers of conducting such operations, if such operations are to be conducted either through or in conjunction with state police? "This will create operational problems as it is not clear, which of two organisations will have the leading role and control over such operations. Secondly, the draft report still retains the absolute and arbitrary provision regarding mandate to civil auhtorities within the states," he said. Speaking at the conference of chief ministers on internal security in New Delhi, Kumar said new NCTC has been proposed even though there is NIA to discharge similar functions. "The better option would be to strengthen and develop NIA than to create another organisation. Finally, on perusal it appears that Unalwful Activities (Prevention) Act has bee kept in perspective while formulating the basic provisions of the new NCTC...When the UAPA is available, its objectives should be made through a motion of law," he said. Noting that the instrumentality of an executive order cannot be over-stretched beyond the scope of the already existent law, he said, "If the Centre still considers it expedient to form an organisation like NCTC, then it should be done through legislation in Parliament which will ensure a wider debate over the subject." The Bihar chief minister rued that the numerical strength of the CRPF battalions provided to the state has remained much less than required for a long time. He said that when Naxal problem is a national problem and it is agreed that the Centre and states have to fight this problem together, then why should the Centre charge the states for the central forces provided to them for this purpose. "Yet large amounts are being charged by the Centre from Bihar for deployment of CRPF. This needs consideration," he said. Kumar said the complicated and widespread problem of left wing extremism defies easy and superficial solutions that are often applied or prescribed to it and warrants a multi-disciplinary, multi-departmental and holistic approach. Kumar said he has been consistently requesting central government to assist Bihar financially to extend the scheme to all extremist affected panchayats in the state. "The Centre through states is implementing the scheme of integrated action plan (IAP) in selected LWE districts...it should be kept in mind that there could be pockets of acute poverty, low literacy, unemployment, absence of connectivity in other non-LWE districts from where cadres are nurtured and developed to act as militia of the extremist formations. "Though there is a need to expand the scheme to more districts, the basic unit for implementation should be changed to panchayats selected on relevant criteria rather than district as a whole. This will lead to a more integrated and focussed approach to saturate the development needs of the selected area without thinning of resources," he said. Maintaining that police alone can just fight the fringe of the problem, which has social, economic and political dimensions, he said that the Bihar government has adopted a multidimensional strategy based on the theme of governance involving development with justice. Kumar referred to the state government's "Aapki Sarkar Aapke Dwar" programme saying it has become focal point of Bihar's approach in this regard and that proactive efforts to control the LWE problem are being made in the state. He also talked about reform in the police functioning and speedy trial of criminal cases in Bihar.